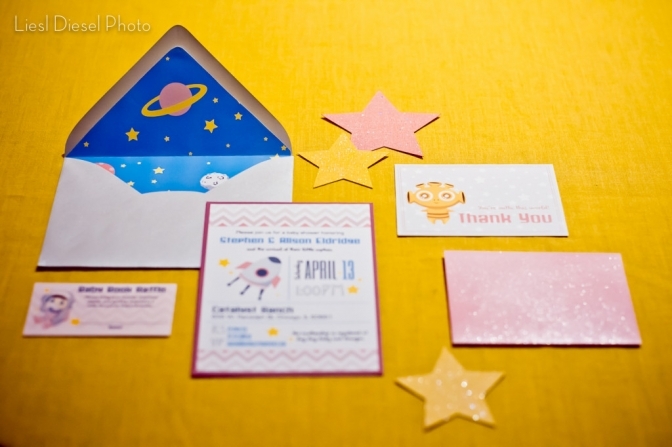 We had a blast (all pun intended) planning this outer space baby shower. When mama-to-be presented this idea, since they had been calling the little one “Captain”, it seemed perfect! Our only request was– let it be a boy! We got the news early on in the planning that the bouncing baby would be a little girl, Lucy. Unfortunately, society thinks that spaceships and aliens need to be a boy’s party theme. Well, we totally proved them wrong! Photos from Liesl Diesel Photo. Since it was a challenge to buy decor for a shower with this theme without people thinking little Lucy was a boy, we had to specially design everything from invites to favor tags! We turned blue astronaut suits and green spaceships to pink ones and added a mix of cool chevron prints with pops of polka dots. The result was perfectly adorable! Everything about this shower was tailored to the happy parents and their love of Sci-fi. 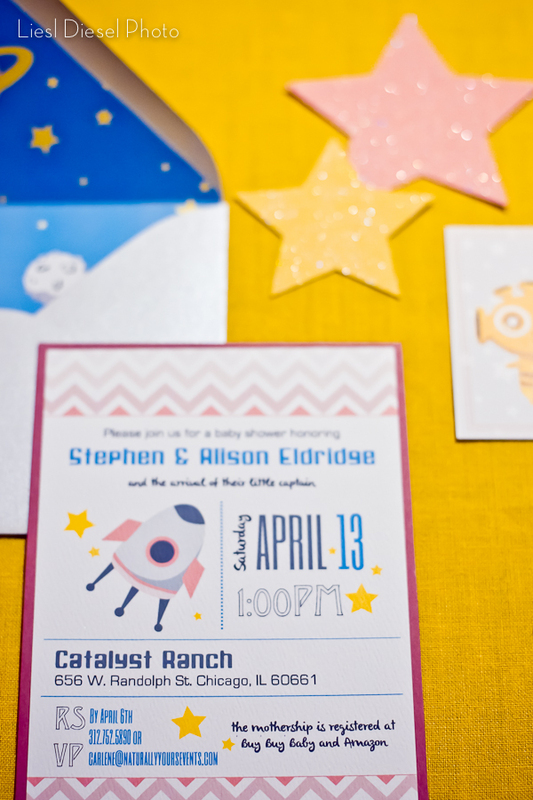 We had guests decorating the baby’s “space suit” and a handmade guestbook of a star map. 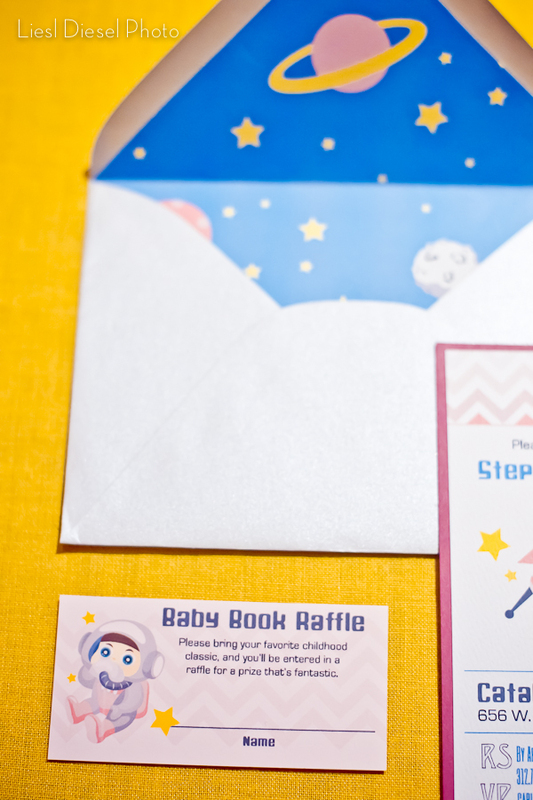 Each guest was asked to fill the baby’s galaxy with their fingerprint as stars. Star garland hung in the windows and tables were adorned with chalkboard globes. The flowers were put together by Pistil & Vine using pink feminine florals with fun pops of yellow billy balls to look like alien antennas. 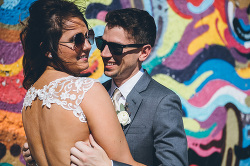 The venue, Catalyst Ranch, was a perfect place to host the shower with colorful walls and eclectic vintage furniture. Luscious Layers out did themselves with alien cookies, planet cake pops, and milky way brownies. The ombre cake had star cutouts, pink planets, and an adorable mothership and captain cake topper. Each guest took home an eco-friendly soy candle filled inside of repurposed baby food jars. 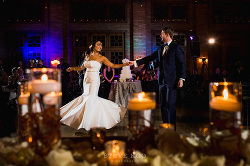 Finally, we have all these beautiful photos to look at all because of the talented Liesl of Liesl Diesl Photo! Congrats to my dearest friends and the newest addition to their family– Captain Lucy!